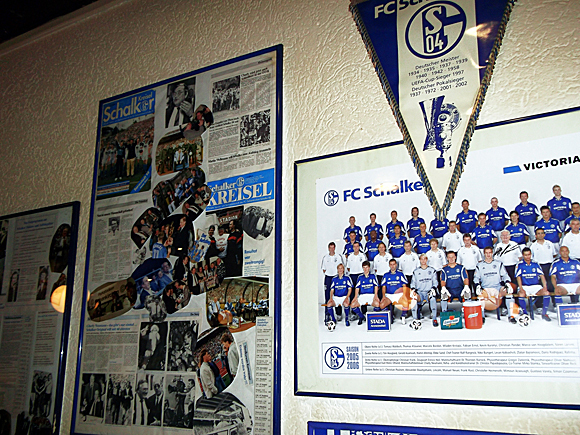 Schalke 04 are one of the great names of European football but you would be hard pushed to find ‘Schalke’ in any atlas. The industrial neighbourhood of Schalke is in Gelsenkirchen, a post-war pairing of Gelsenkirchen-Altstadt, rebuilt as a compact and pedestrianised commercial centre, and the residential green-belt suburb of Buer. 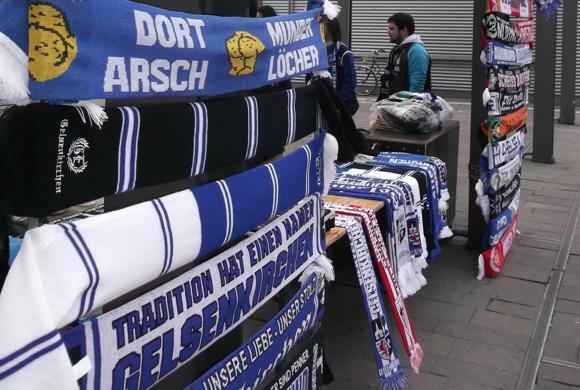 It stands in Germany’s industrial heartland and football hotbed, characterised by traditional clubs with large fan bases, most notably Schalke, and their eternal rivals, Dortmund. These communities – Gelsenkirchen, Dortmund, Duisburg, Essen, Bochum – are interlinked by a regional train and S-Bahn network. Set by the main road and S-Bahn line halfway between downtown Gelsenkirchen and its suburb of Beur stands the Veltins-Arena. 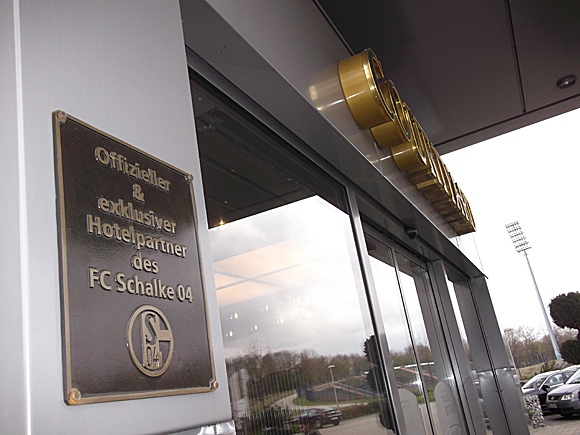 Home to Schalke 04, the Arena was opened in 2001 to replace the adjoining Parkstadion, now used for training and reserve matches. A capacity 61,500 crowd pack into this modern, multifunctional arena for every home match. But this century-old community club has its real heart back towards town, around the old Glückauf-Kampfbahn ground and Ernst-Kuzorra-Platz, named after the greatest Schalke player of all time, from the club’s multi-titled pre-war era. 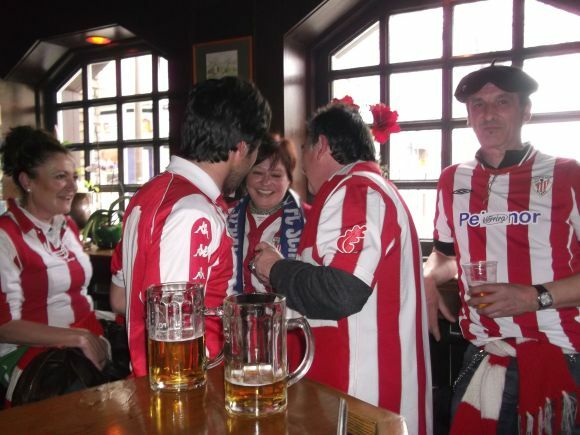 Here followers of the Königsblauen gather in classic football bars as Schalke anthems boom out in timeless fashion. The Veltins-Arena, venue for the 2004 Champions League Final, is also regularly used by the German national side – such as the Euro 2016 qualifying tie with Ireland in October 2014. Gelsenkirchen has no airport. The nearest is Dortmund about 50km (31 miles) away. From Dortmund Hauptbahnhof, the S2 S-Bahn line runs every 20mins to Gelsenkirchen, journey time 30mins. Düsseldorf airport is also about 50km away. S-Bahn and regional trains run by the Verkehrsverbund Rhein-Ruhr link with Dortmund and Düsseldorf. Local buses and the U-Bahn are run by Bogestra. A single ticket is €2.40, a day pass €5.70. For a taxi, call +49 209 55555. 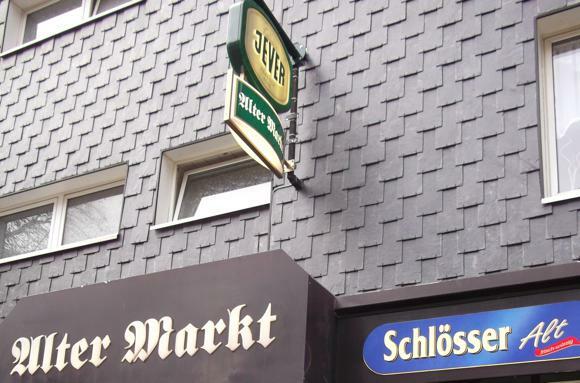 Gelsenkirchen has no tourist office. By the stadium, the Courtyard by Marriott Gelsenkirchen is an upscale business hotel offering quality dining and drinking. 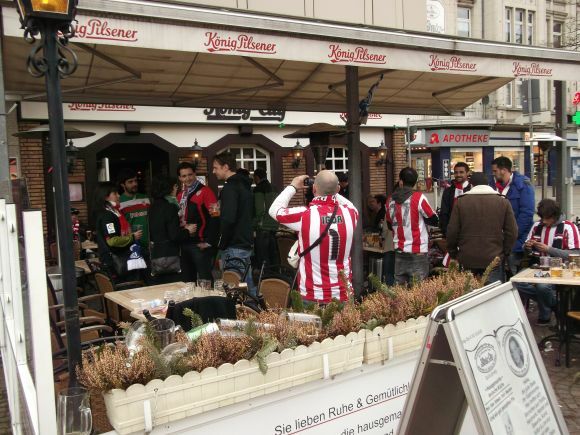 Also close is the Arena Hotel, under the same umbrella as the Hotel Monopol in nearby Buer. 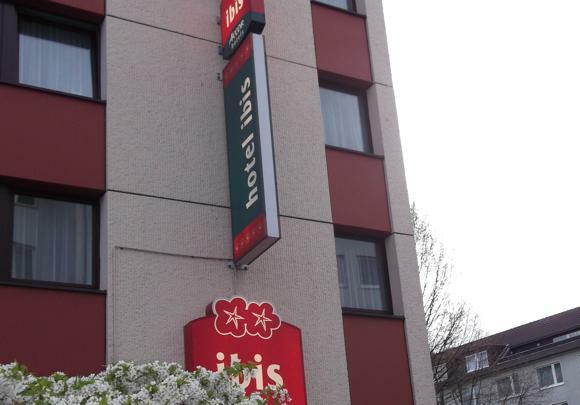 In the town centre, chains near the station include the Ibis Gelsenkirchen and the InterCityHotel Gelsenkirchen. 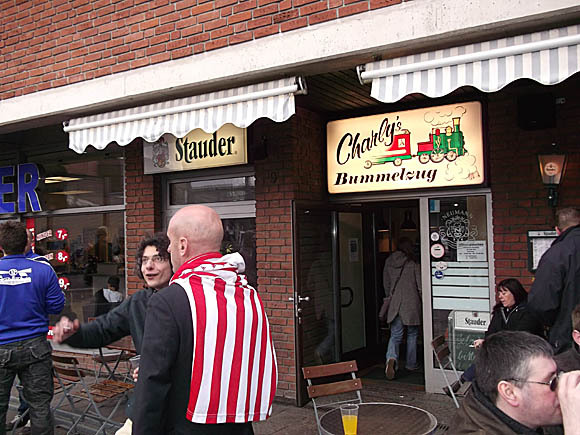 Right at the station, Charly’s Bummelzug is a classic football bar (‘DIE Fankneipe!’) run by Charly Neumann since 1981, whose small interior is plastered in Schalke history. 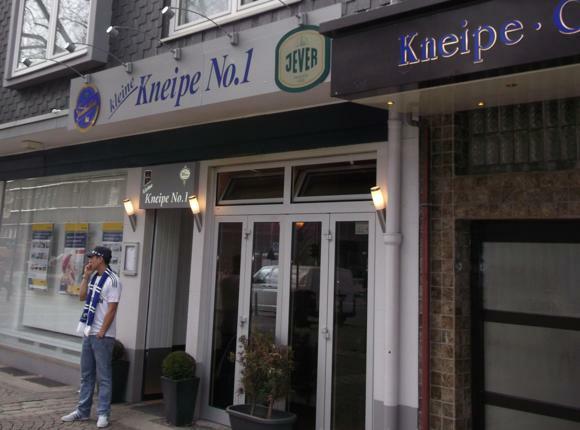 The Kleine Kneipe No.1 and Alter Markt (both on Von-Oven-Straße), the König City and the Central (Weberstraße 18) are all classic downtown fan meeting places. 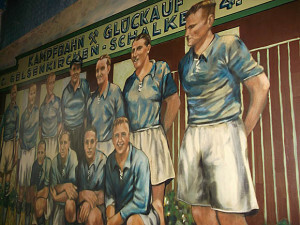 Opposite the Posthörnchen restaurant, Central features a wooden terrace and, inside, a signed picture of Schalke icon Stan Libuda. 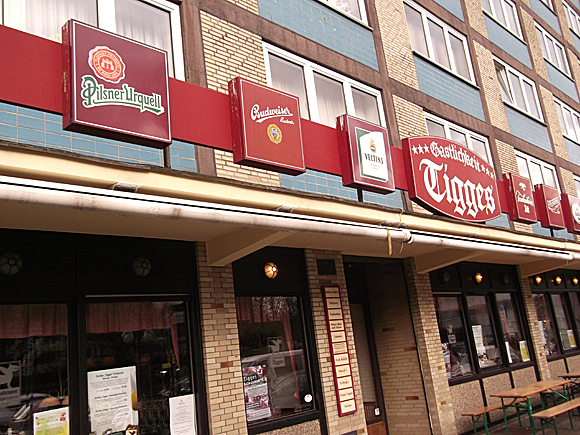 For something more formal, the Gastlichkeit Tigges (Ebertstraße 26) is a typical local restaurant, centrally located.